Last month, the first teaser art for Marvel’s Agents of SHIELD Season 4 debuted on a San Diego trolley with a very familiar looking chain surrounding it. Now, to some that appeared to be the trademark weapon of the Inhuman Hellfire, but many speculated it could in fact be the spirit of vengeance himself, Ghost Rider. Now, Marvel Entertainment has confirmed that the character will be coming to the series but not the version you might think, as Gabriel Luna will play the role of Robbie Reyes, the most recent incarnation of the character. First appearing in 2014’s All-New Ghost Rider #1 from Felipe Smith and Tradd Moore, Robbie Reyes is a young mechanic living in Los Angeles possessed by the Spirit which he uses against the local gangs and to win street races. He also went up against a villain previously found in Marvel’s Agents of SHIELD, Mr. Hyde. 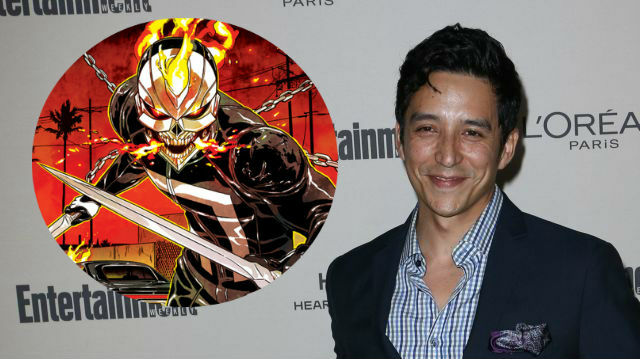 What do you think of the addition of Ghost Rider to Marvel’s Agents of SHIELD? Sound off in the comments below!